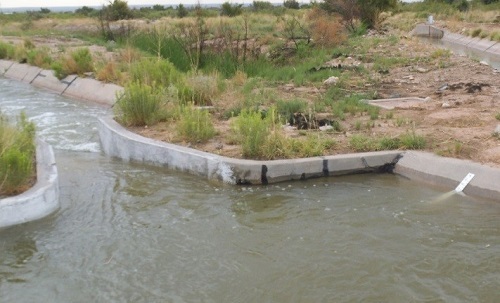 Improved Water Management, Measurement, and Accounting for Carlsbad Irrigation District (NM) | WEST Consultants, Inc.
WEST assisted CID with a WaterSmart Grant to improve their ability to manage irrigation water deliveries to users. CID did not have remote monitoring of water levels or flows within the system. This made it difficult for CID managers to evaluate the performance of water deliveries to water users. Some of the water measurement structures were in bad repair and were not accurate. All this made it difficult for management to determine locations where canal losses occured, and whether those losses were from seepage, excess delivery, or spills. The result was that operators were not able to maintain constant water levels within the canal. This made maintaining constant flow to lateral canals difficult. The project gave CID some basic tools, from which they can begin to improve operations.